Although misdemeanors are not as serious as some other criminal charges, if you’re charged with one, it’s serious enough to cause you stress and anxiety. 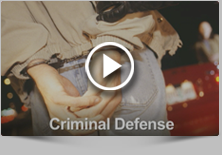 Allow the criminal defense lawyers of Fiore & Barber, LLC to grant you relief. Our reputation for providing a well-rounded defense is backed by 29 years of combined legal experience to help people charged with misdemeanors avoid harsh and unfair penalties. Our hands-on approach to law means that you work directly with our best lawyers throughout your entire case. A misdemeanor is any form of a lesser criminal act. People charged with misdemeanors are not subject to lengthy prison sentences as they would be if they faced major criminal charges. But misdemeanor charges can mean fines, probation, community service or short stints in a local jail. Some people charged with misdemeanors even lose their jobs or their place in public office. Dismissal of penalties. We seek to free you of any fines, jail time or probation you might receive from your probation charge. Avoiding social stigma. There is a stigma that comes with being charged with a misdemeanor that could cost you your public standing or your job. We help you to avoid such stigma. Clear records. You can keep your permanent record clean for future background checks. Misdemeanor charges do not have to result in harsh punishments. Work with the experienced criminal defense lawyers of Fiore & Barber, LLC to clear your name. We fully dedicate ourselves to your case, attending every hearing and covering every issue we can find. Call us at 215-256-0205 or contact us online to arrange a free consultation. We offer evening and weekend hours for your convenience.